A simple yet often ignored rule, the “getting level” is one practical tip that will improve your images overnight. EOS 7DII with EF 500mm f4 at 1/800, f6,3, ISO 100. Hemsedal/Norway, July 2017. Click to enlarge. A few days ago I published a blog titled “The Golden Hour“, about choosing the right lighting conditions for getting the best possible results. In it I all but promised to offer a few tips on what could well be “the first rule of nature/animal photography”, namely the rule that states that you must get level with your subject to create a bond between the viewer and the subject. This is that promised blog entry. “Getting level” is something that is usually emphasized at the very top of any list of tips for budding bird photographers, yet when browsing images of birds on the Internet, and on social media in particular, it is a rule that is violated more than it is adhered to – and the violation of the rule is to blame for countless sub-standard images eating Internet bandwidth for little benefit to anyone. 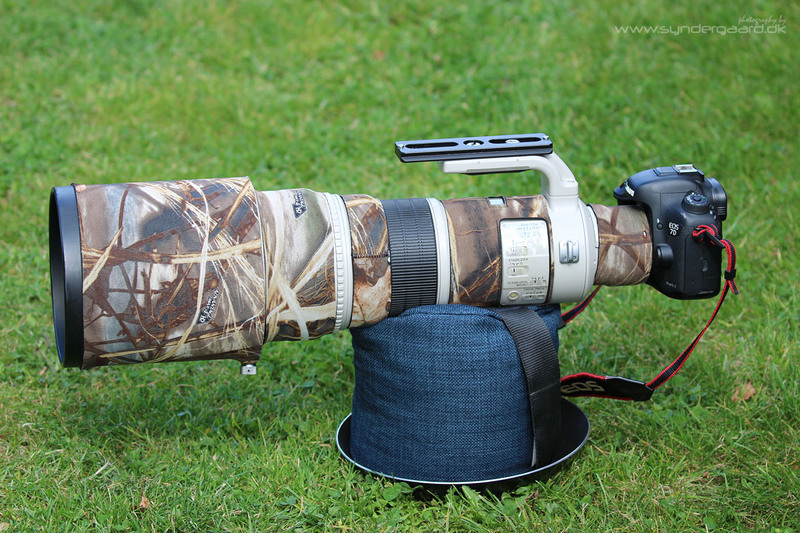 That is a big shame, because getting it right isn’t hard to do, as long as you don’t mind getting down, further down, until you’re often flat on your belly and resting the big lens directly on the ground. One is already mentioned above, and has to do with the psychology of watching nature photos. Anything that appears to be observed from either below or above will also appear to be “further away”, even if it is just a psychological mechanism. It is simply much harder to relate to a photo subject that doesn’t appear to be on the same level as we are, and since the aim of nature photography is generally to create a connection between the viewer and the subject, any extra distance introduced into the equation will come between you and your goal/aim. Put in plain terms, as long as you aren’t getting level, the impact of your image will be a mere fraction of what it could be. The next one is more technical and aestethical; the more level you get, the further back your background will be. A smooth-as-silk distant background with nothing to distract the viewers’ eyes is the ideal way to focus their attention on the subject. I.e. the bird you’re trying to portray. This is no small thing – a change from being on your knees to being flat on your belly will push the background back from being centimetres behind, to being many scores of metres behind (terrain permitting), and will make or break a shot. In order to get low I often use a homemade “ground pod” comprising a cheap, lightweight frying pan and a cylindrical bean bag (see image). In the configuration shown here I can easily push it in front of me if I’m stalking some subjects, and once I’m close enough I often lay the bean bag on its side so it gets lower still. If the surface I’m creeping on allows it I may even put the camera/lens straight on the ground, to get even lower than this – you need to experiment to find a system that works for you, but one thing I know DOESN’T work is spreading the legs of the big, heavy tripod and creeping around on the ground trying to move that thing in front of you. The homemade “ground pod”. Click to enlarge. Below are a number of images of both kinds – “good” ones and “bad” ones, I hope you can see how big the difference is, even if the degree of “violation” of the rule is sometimes quite subtle. Click on the first image to open the gallery, and take note of the image captions as you browse. Hopefully your audience will thank you for it once the results start to materialise. Common wood pigeon (Columba palumbus) on snow. 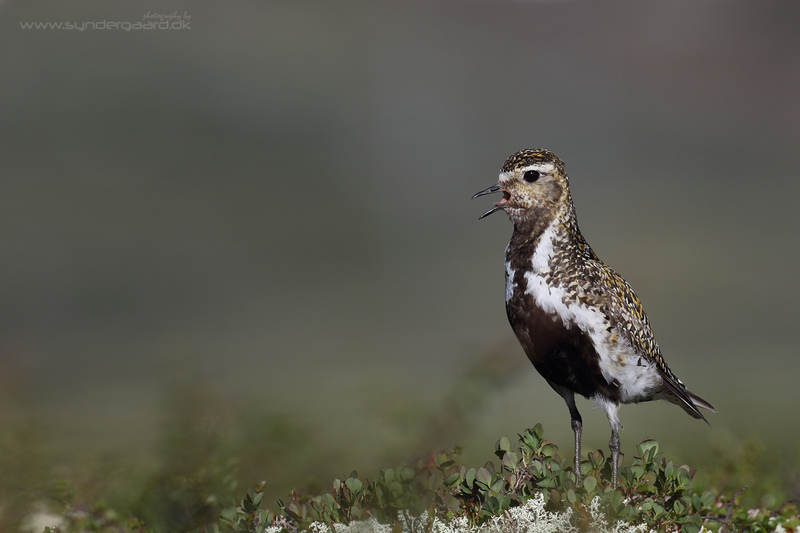 This bird was photographed in Central Sweden in April 2017 using the EOS 7DII with the EF 500mm at f8, 1/1300 and ISO400. Although the angle is not ideal, the small snow drift between the lens and the bird creates the illusion of being level, or almost level. To my eyes this image works. Southern lapwing (Vanellus chilensis) foraging in a grazed grass field in Brazil. Notice how this image violates both the Golden hour rule and the Get level rule, and becomes profoundly un-engaging for it. EOS 7D with Sigma zoom lens at 439mm. ISO 400, 1/800 at f8. Chimango caracara (Milvago chimango). This image is a good example of how the right shooting angle will completely blur an otherwise quite obtrusive background, in this case the crashing Atlantic waves. Photographed in Brazil using the EOS 7D and the lacklustre Sigma 150-500mm zoom lens. ISO160, 1/800 at f8. If this image had been shot at sunset, using a better lens, it wouldn’t have been half bad! Common miner (Geositta cunicularia). This is one of those images where you may initially think it isn’t too bad, but try to imagine the same situation shot from ground level (in this case the angle is that of a car window at 5-7m) – from ground level, the background would have been completely blurred, the bird might have had a bit of a glint in the eye, and the image would have been in a completely different league. EOS 7D with Sigma zoom, ISO125, 1/640 f8. Final Brazilian in this gallery, a Yellow-headed caracara (Milvago chimachima) shot through the car window. Not all bad, but again I’d like you to imagine the same shot taken from ground level. ISO250, 1/640 f8. Bullers mollymawk (Diomedea bulleri). So what’s wrong with this image? Just about everything, as a matter of fact. It is shot in drab overcast light, the birds are far away, seen from above so the sea gets way too dominant, and it isn’t even very sharp! The only thing it has going for it is the subject – cool birds these albatrosses! EOS 7D with 420mm, 1/200, f6.3 at ISO200. South Island, New Zealand. A Pied kingfisher (Ceryle rudis) from South Africa, checking out the pond surface from a favourite perch. The nearest distraction behind the bird is literally 100’s of metres away, so the image takes on a studio-like quality. Great for showing the audience how a Pied kingfisher looks, but perhaps not the most engaging shot, not least due to the overcast skies. I should head back there to shoot the same bird during sunrise. Better call the travel agent. EOS 1DIII with EF 500mm, 1/3200 at f4, ISO200. Common skua (Stercorarius parasiticus) pair bonding on their breeding grounds, Chukotka, Siberia. In more inspiring light this could have been a winning image because it shows the right-hand bird in a situation that is almost human-like. The angle JUST works, but lower would have been better. EOS 7DII with EF 600mm, 1/2000 f5.6 at ISO400. Long-tailed skua (Stercorarius longicaudus) on its nest in Chukotka, Siberia. Many things come together to create an attractive bird portrait here; angle, light, and the snowfields in the background. A later hour/more reddish tinge would have added an extra dimension, but if every shot was perfect from the word “go” then it would quickly become boring. EOS 7DII with 600mm, 1/2000 at f7.1, ISO320. A brief ray of sunlight from the setting sun makes all the difference for this Great skua (Stercorarius skua). But the angle doesn’t do the beautiful if audacious bird justice. Same EXIF as the previous image. Great skua (Stercorarius skua) against a rocky slope on the breeding ground in Runde, Norway. I don’t mind an unobtrusive background that will add a little information about the bird’s environment to the image. EXIF a bit further back. Ideal angle on the Great cormorant (Phalacrocorax carbo). This particular location has closely-grazed fields going all the way into the water, allowing me to get very close to the water’s edge. The head is in the first ray of sunlight from a rising sun, but the body is still shaded by the embankment. EOS 1DIV with EF600mm at 1/3200 f5 ISO1000. On the other hand, some subjects lend themselves well to car-based photography. Yellow wagtail (Motacilla flava) on a fence pole, shot from the car. EOS 1DIV with EF 600mm. It is occasionally possible to get away with shooting ground-dwelling birds from the “rolling bird hide” – namely when the bird is on a small knoll and the background thus a bit further back. I’m not saying one shouldn’t take pictures out the window of the car, just that in the editing it makes sense to be very picky about the images which are shown to fellow birders on Facebook, and the ones which are not. Black-tailed godwit (Limosa limosa) on the breeding grounds.